A fun event for the kiddies popped up on the Stamford Plus website. 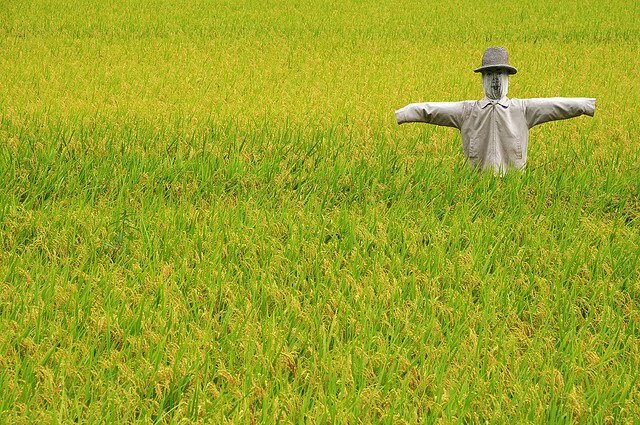 It's a little bit of a hike to get there, but if you work your way up to Old Lyme's Florence Griswold Museum, you can see Scarecrows at the Museum: A Harvestime Adventure. The event runs for all of October and features over 30 artists who have helped make the museum's eleven acres into a masterpiece of scarecrows modeled after famous artists and paintings. Inspiration includes Van Gogh, Picasso and Dali. There are also costumes for kids to try on and a newly planted small field of Indian corn to set the autumn stage. For more information, see the museum's website. To get to the museum, head to 96 Lyme Street in Old Lyme CT. Hours are Tuesday to Saturday from 10am-5pm and Sunday noon-5pm. Admission will run you $14 for adults, $13 for seniors, $12 for students and $5 for members. Kids age 12 and under are admitted for free. This is great. The Flo-Gris Museum is one of my absolute faves - I've written about it for many magazines and was just up there for another assignment. If you go on Sunday from noon - 5, you also get a small canvas, paints, a smock, and a short lesson in painting the way the American Impressionists did....alll for the small price of admission! Our family went last Sat. if was terrific and the walk around the museum is beautiful with kyakers on the river. 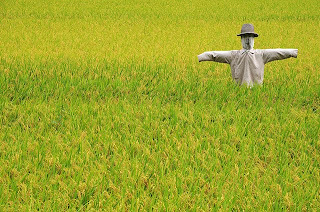 Bring your cameras the Art scarecrows are very clever!! Beware the Frank Lloyd Wright, falling waters. The daughter got a little too close while trying to get photos and got a little wet! A big surprize.